Welcome to Digital Digest! It's the first week of June, so summer is all but officially here, but unlike the broadcast TV networks, we aren't here to give you summer repeats. Instead, we've got a whole summer full of news, reviews, and more all summer long! 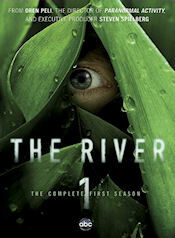 This week, we've got a review of The River - The Complete First Season. Let's get going! "Things are looking good for ALICE. Stay tuned!" That wording is very interesting, and seems to suggest that something may finally materialize on DVD (at least a MOD offering) from Warner Archive! The message is a bit different from what Warner Archive has stated in the past, including indicating that they'd like to do it, but there are source material issues. Given that this is our first real indication of a glimmer of hope, I wouldn't expect the series to appear anytime very soon, but it sounds like we've at least got something hopeful on the radar. We'll keep you updated on what seems to be an indication that we will be seeing this classic series on DVD soon! We've still got a little over a month until CBS Home Entertainment's July 3 release of The Streets of San Francisco - Season 3 (Volume 1/Volume 2), but you won't have to wait much longer for the fourth season. In fact, The Streets of San Francisco - Season 4 (Volume 1/Volume 2) will be coming on August 28! The sets aren't available to pre-order yet, but most likely, they will be very soon. That will leave only the fifth season to be released, and as of right now, there is no scheduled release for that... but given this release schedule, I would expect it to follow soon enough. That isn't the only August release from CBS, though. On August 21, CBS has Perry Mason - Season 7, Volume 1. For those doing the math, that will be the "lucky 13th" release of the series, leaving only five more releases of the series to get it to completion. It doesn't appear that CBS intends to release more than one volume of this series on the same day (as they have started doing with other series), but at least it is getting out, slowly but surely. We mentioned a few weeks ago that Sony's MOD offering of Charlie's Angels - The Complete Series (not the original classic series, but the 2011 series which became one of the biggest flops of the past season) was coming to DVD, and now there is a date... and it is very soon. In fact, it'll be shipping starting on June 5, which is this coming Tuesday. Finally, there is some addition to Hulu this week which we find worth mentioning, with the newly added Garfield and Friends! 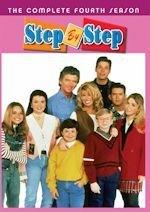 It isn't the entire series, but 30 of the first 31 episodes are now available to stream for free on the website (the final episode of the first season is missing as of right now). This is definitely worth checking out, as the DVDs of the series are now out-of-print and cannot be easily found. Tuesday (June 5) has one sitcom release, with Shout! Factory's release of Designing Women - 20 Timeless Episodes. You can read our review of this set here. Image has their release of Twilight Zone - The Complete Series (Blu-ray), which contains every single episode of the classic series in the high-definition format. Also from Image comes the release of the rare '80s series Rags to Riches, with Rags to Riches - The Complete Series. From Oren Peli, the director of Paranormal Activity, and executive producer Stephen Spielberg comes The River, the most terrifying TV series in memory. It has a chilling legend and lore and it is brought to life in this heart-pounding eight episodes. The paranormal thriller follows the story of world-famous wildlife expert and TV personality Dr. Emmet Cole (Bruce Greenwood), host of the beloved series "The Undiscovered Country." After Cole goes missing deep in the Amazon, his family, friends and crew set out on a haunting and treacherous adventure to find him. After Dr. Cole's emergency beacon goes off, they go to find the ship (The Magus). Led by his wife Tess (Leslie Hope), and estranged son Lincoln (Joe Anderson), the rescue mission will lead them deep into the unexplored regions on the Amazon River - a place where nature is cruel, magic is real and nothing is what it seems. So uncover the ancient secrets of the Bouina in the first season of ABC's The River on this two-disc DVD! There's magic out there! The series stars Bruce Greenwood as Dr. Emmet Cole, Joe Anderson as Lincoln Cole, Leslie Hope as Tess Cole, Eloise Mumford as Lena Landry, Paul Blackthorne as Clark Quietly, Thomas Kretschmann as Capt. Kurt Brynildson, Daniel Zacapa as Emilio Valenzuela, Shaun Parkes as Andres Jude (A.J.) Poulain and Paulina Gaitán as Jahel Valenzuela, Emilio's daughter. Scott Michael Foster recurs as Jonas. The DVD comes in a case held by an outer thin box. The thin outer box is in green (fitting!) and has an eye looking through big green with leaves the series logo below and the complete first season mention. The back of the thin outer box has info on the set and series, with a nice quote from the Time.com. We have a nice background photo of a spooky doll, along with five episodic images. Below all that, there is box showcasing the bonus features as well. When we remove the outer box, we get to the case. The case has the same artwork as the thin box, so everything is the exact same. Inside the case we have a cool cast photo on the panels itself. There is also a disc-by-disc breakdown below the cast photo on the panels listing episode titles per disc. As for the discs themselves, disc one is on a little plastic holder that you can flip like a page in a book. Disc two is on the right panel itself, though. It should have been on the back of the plastic holder, I think. Both discs are in the green design with the series logo and a nice design in the background that is different for each disc. Disc one holds episodes 1-5, while disc two holds episodes 6-8. There is also an insert booklet showcasing other ABC TV DVDs that are coming soon like Scandal and Revenge, and it is placed on the left panel. The menu design is great! We first have the series logo, then it jumps to a wide shot of the Amazon River, then we see clips from the series playing in the background as we have background music from the show playing. Before the main menu, we have auto trailers. On disc one we have trailers for ABC TV DVDs coming this summer and fall, Castle Season 4, and the upcoming theatrical Frankenweenie. Disc two has trailers for movies The Avengers, John Carter and Who Framed Roger Rabbit 25th Anniversary Blu-ray. Back to the main menu, the options are: Play All, Episode Selection, Bonus Features, Set Up and Sneak Peeks. Sneak Peeks is only on disc two and has the same trailers as the auto trailers on disc two. Set Up gives us the option for subtitles in English, French, Espanol, and Portuguese. Bonus Features list what is available on the disc, while Episode Selection gives us a a screenshot from each episode on the disc, along with episode number and title. More on the bonus features below. Video and audio quality are both outstanding. We have Digital Dolby 5.1 surround sound and it is perfect. For the video, we are in widescreen (1.78:1), enhanced for 16x9 televisions. It is excellent quality but that is expected for newer/current series. If anything goes wrong with audio/video for current series, then there is a major problem. Too bad ABC Studios is not releasing a Blu-ray version of this series, as it would be magical to watch in Blu-ray! Each episode has 8 chapter stops, so it is easy to jump through an episode if you are looking for something in particular. There are some special features on this set as well! The first disc has an audio commentary for the premiere episode "Magus." Commenting are executive producer-writer Michael Green, executive producer Zack Estrin and director-producer Jaume Collet-Serra. They are pretty funny and gush over Collet-Serra's sensual accent! Then the rest of the special features are on disc two. First up, another audio commentary, this time for the season finale "Row, Row, Row Your Boat" with Michael Green and Zack Estrin returning, but instead of Collet-Serra, we have Emmet Cole himself--Bruce Greenwood! We learn a lot here and their thoughts on the ending and conclusion of this chapter. Next up is by the far the best feature on this set, the featurette "The Magic Out There" (18:06). We take a gripping journey into the heart of darkness with the creators, cast and crew in the behind-the-scenes look at the making of this epic series and explore the documentary-style feel of the show, and its eerie, terrifying visual effects. It's a very good and informative featurette and has interviews with Zack Estrin, Oren Peli (creator), Michael Green, Justin Falvey (executive producer), Jason Blum (executive producer), Joe Anderson, Paul Blackthorne, Daniel Zacapa, Paulina Gaitan, Eloise Mumford, Bruce Greenwood, Scott Michael Foster, Shaun Parkes, Eric Austin (laserbreak pilot), Chase Hartan (production designer), Sarah McGrail (visual effects producer), and Stephan Fleet (visual effects supervisor). And lastly, we have 13 deleted scenes that delve further into the mystery and awe of this series. Seven of the eight episodes have deleted scenes totaling just over 16 minutes. Six deleted scenes are for the premiere episode itself: "Magus" (2:21, 2:17, 0:47, 1:50, 0:30, and 0:40). The rest of the episodes have a deleted scene or two: "Marbeley" (0:49), "Los Ciegos" (0:41), "A Better Man" (0:51), "Doctor Emmet Cole" (2:49), "The Experiment" (0:27, 0:28) and "Row, Row, Your Boat" (0:48). So the only episode without any deleted scenes is "Peaches." This is a nicely done set for a nicely made show. It was something different that network TV had never seen, so kudos to the cast and crew for giving us something unique. I wish it did better in the ratings, but we all know that is never an exact science. As for the DVD, it is well done. We get great audio/video, menus, packaging and special features. I think the features are adequate for something with 8 episodes. My only real gripe was for disc two placement in the packaging, but that is not a big deal. ABC Studios knows how to make good DVDs, especially for their current series. 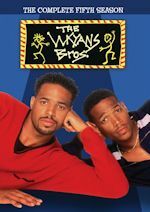 Let's hope someone resurrects this series for a second season so we can see the second chapter. I think Eloise Mumford is an up and coming star, so we need more of her! Click on our Amazon link to buy this series, as you don't have to travel on the Magus to the Amazon River to buy this series! There's magic right here on this review on this blog! It's a great DVD for a great show! David and Maddie (www.davidandmaddie.com) - For those who are unenlightened, you may need a little bit of light... or Moonlighting... to know the meaning of the two names David and Maddie. For those who are unfamiliar, David and Maddie were the names of the characters played by Bruce Willis and Cybill Shepherd on the classic '80s detective series Moonlighting. 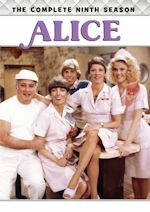 The series ran in the later half of the '80s on ABC, and it was a groundbreaking series which meshed comedy, drama, and romance all in one. 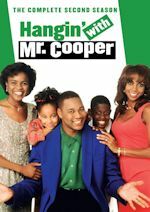 The series had many production issues (including going way too far over budget, not finishing episodes in time, and more) over the years, leading to a five season run which yielded only 66 episodes. But the series lives on in the hearts of many, many fans who viewed the series during the original run and still love the series to this day. David and Maddie is one of the best websites out there for the series, full of content which goes well beyond just the mere basics of the series. Among the content, you'll find a very thorough episode guide with all of the details and analysis for each and every episode of the series, an expansive gallery of publicity photos and magazine cover photos, information about the DVDs and reviews of the DVDs (yes, our own reviews are included! ), interviews, and even a discussion about the 3D episode of the series which was planned... but scrapped due to (you guessed it) production problems and a writer's strike. So this week, you'll want to "moonlight" with David and Maddie, our Click of the Week.